On 13th July 2001, Steven McCabe was interviewed by Renald Meinert of DURP and Empire Magazine. Please find below the full interview. 1. Sorry, but I don’t know a lot of things about your band, so at first some standard questions! Please tell me something about the history of the project! 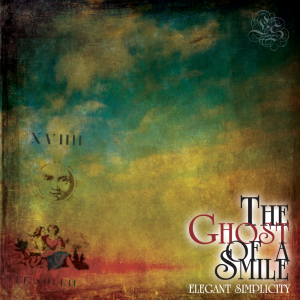 Elegant Simplicity was formed around 1992 as an outlet for songs not suitable for the various groups I had been playing in (mostly folk-rock/blues etc). I had been writing my own material for some time and, as I was not a very good singer, decided to concentrate on instrumentals. One thing led to another and after buying some 4 track recording equipment, I began to record some of my compositions. 2. How does it came to the name of the band? I was conversing with a friend one day, agonising over what to call my new project, when he suggested that I named it after one of the songs on one of my demo tapes. I never really wanted to use my own name and, in the absence of something better, ES has and will continue to be. 3. Why an own record company? Before I released the first CD (‘The Nature Of Change’, 1996), I had already released seven albums on cassette. During the period 1992-1995, I received several offers from small labels expressing an interest in my work. At first it was flattering, but as soon as I had read the small print, things were not so good! In the end, I decided that I knew my own music best and that I should continue along the path I had already been travelling. Luckily, it turned out to be a good thing, as it has been successful enough for me to take on another artist, Bjorn Lynne, formerly of the Cyclops Label. I will also be releasing an album from Ken Senior later in the year. 4. What about the influence of other artists to you? Until I began recording my own songs, I had no idea what ‘progressive rock’ was! My favourite bands prior to the first ES album, were Black Sabbath, Uriah Heep and Barclay James Harvest. Obviously, all these groups had elements of ‘progressive’ in their style, but I never knew them as such at the time. I was a very late starter to music, anyway, having spent my formative years interested in art and architecture. For reasons too long to go into here, I bought a horrible guitar, learnt a few chords from a book and started writing because I couldn’t figure out what Tony Iommi was playing! Someone then suggested that some of my songs bore a passing resemblance to Ozric Tentacles. I thought, ‘great, another band doing similar stuff to me’. I bought an album of theirs and it was nothing like ES! However, I really enjoyed it and started looking for other stuff to listen to. It was then I discovered the likes of Camel, Caravan, Gentle Giant, Jethro Tull etc. 5. How are the reactions of the people in your neighbourhood to your music? I tend to keep myself to myself so I have never experienced the thrill of neighbours complaining about the noise! 6. How would you like to develop in the future? Do you think about changing your style? My main ambition at the moment is to assemble a fully working live band and get playing some concerts. Although not immediately apparent, most of my songs are extensively improvised – every guitar solo and keyboard solo etc is first or second take. The only exceptions to that are melodies composed for a specific harmonic sequence. So, there are lost of opportunities for extended sections and the like which would sound great live. As far as changing my style is concerned, I don’t think about it all. Most of my albums are different to the one preceding it anyway – not through deliberate choice – its just the way things work out! The only constant is my guitar style and the melodicism of the songs. Whichever album you play, right from the first cassette ‘Improper Advances’ to the new ‘Palindrome’ album, I think it is fair to say that they sound like the same ‘band’, but musically different. My favourite band of all time is BJH – if you listen to every album in sequence, they are all different but you can still tell who it is! 7. Is there a most important event in the history of the band? I would say the most important event in the history of ES is the decision I made to invest all I had into establishing the label and the studio. Oh, and the website! 8. What about your success/feedback in different countries? I know for a fact that we sell more CDs than some better known bands on ‘proper’ labels, particularly in mainland Europe and the US. There are a few territories that don’t seem interested – namely Japan and South America. As a band we are not 100% progressive rock so maybe that is the reason. It’s just a happy coincidence that lovers of Prog/AOR etc can find something to enjoy in our music. We run a monthly mailing list and we have members from 26 countries and the list is growing all the time. 9. What do you think about the situation of your musical genre in the presence and what will change in the future? I think, because of the fact that Progressive music requires more from the listener than simple pop songs, that as a musical genre it will always remain underground – in the sidelines. It will only change if some enterprisingly brave person on TV/Radio/MTV gets behind it and starts playing it and giving it some support. Can’t see that ever happening, though! 10. How would you see the relation between music and lyrics? Some musicians don’t care about the lyrics, others understand the music as a vehicle to fit the lyrics…. I think there is an inextricable link between the two. Prior to Ken Senior joining us on vocals, a lot of people reviewed our albums and said they were songs waiting for words. As my music is very melodic anyway, this was a natural conclusion to make. A lot of lyrics are either too clever, too corny or serve no purpose. I have always tried to say something with my lyrics – it might not be poetry or the best you will ever hear, but they do suit a purpose and they are free of cliché (I hope). I will seldom use rhyming words as it is too easy to be obvious. On ‘The Nature Of Change’, there are songs about war crimes, the death of civilisation, alien love, loneliness and fear. On ‘Moments Of Clarity’, there are songs dealing with euthanasia, grief, desire and loss. All very cheery subjects! 11. What kind of compromises would you make to push your career? This is a good question and I have often given it plenty of thought. To be really happy as a musician or a creative person in general, I truly believe that to make a living from such an enterprise is the ultimate goal. However, success is not easy and I can understand why some artists would change direction, become more commercial or whatever. I have tried writing dance music, but I get so bored that it mutates into ES music. I can’t change even if I want to! I write what I write and that’s the end of it. Some of the songs are pop songs, some rock songs, some folk and some prog. Some have little bits of jazz in them! 12. Can you tell me something of the process of creating the new record? Were there any problems or went everything well? The new album, ‘Palindrome’, was mostly composed at the piano. Once it had all been written out and the arrangements settled upon, it was all systems go to begin the recording. I can usually write an albums worth of songs in about a month, working 2 or three hours a night. Because of my day job and the distance involved getting from home to where I work, this is the maximum I can do. I have always found that once you start writing, you get on a roll and just keep going until you run out of steam! Then all you have to do is blend it all together. For the new album I had a concept in mind about a year before I began writing it, so composing it wasn’t too problematic. The recording was pretty painless, too. Hardest part was finding the time to record, scheduling the musicians, designing the artwork and organising the sound effects. 13. Can you give me some liner notes to the songs of your record? The basic premise of the album is the constant search for somewhere, either physically or mentally, that we can call home. Somewhere we can feel comfortable, wanted and a part of things. So, on the album, I use music in ‘The Twinning of Souls’ to describe what happens when two individuals meet and become inextricably linked. Things go wrong, as they often do, and the two characters spend the rest of the album looking for a way back to what they once were. The song ‘Let It Be Me’ contains one of the characters observations of his surroundings and how others interact in them. Towards the end of the album, one of the characters meets someone else and has become cynical in the way the relationship develops. In the final song ‘Still Hearing Your Voice’, the character realises that he had already found his way back home but the realisation had come too late. Without the internet, it would be virtually impossible for me to have the limited success that I currently enjoy. It has opened up the world to my music and I have no problem with MP3 or WMA files. Indeed, there are loads of songs from most of our albums available for free download. I want as many people to listen to the music as possible and if that means ‘free’ music, then so be it. 15. What is the reason that progressive rock in the seventies went so well and now we have only a small scene without attention of most of the media? At a guess, I think that the world was wanting something new and different, after all the sixties excesses, and we ended up with the heavier stuff like Heep, Purple and Sabbath and the more prog stuff ala Yes, Genesis etc. These and other bands were being played on the radio, giving rise to hit singles and the mass adulation that followed. Eventually, towards the end of the seventies, journalists and broadcasters were getting a bit bored with all the alleged pomposity of it all and out popped Punk and the New Wave. The listening public swallowed all the garbage they were being fed and stopped buying records as they were no longer trendy. Don’t forget that Johnny Rotten’s favourite band was Van Der Graaf Generator! Since then, of course, all that mud has stuck and no matter how good the band or how commercial it is (Spock’s Beard are progressive but would storm up the album charts if they given mass coverage), it won’t change. The internet, underground magazines and radio are the only things left that continue to fly the progressive flag! 16. Progfans are ignorant and narrow-minded. They live in the past and don’t care about the meaning of the word progress. I think the above statement is probably true for a lot of prog fans, but everyone is entitled to listen to what they like. There is a lot of truly wonderful non-prog music out there and those people are doing themselves a severe disservice by not opening up to it. I also think that the words ‘progressive rock’ are sometimes taken a little too literally. For me, if the music moves me, regardless of what is is called, then that is enough. 17. So you could have the possibility to make this record again. Would you change anything? I would probably have had some sax on a couple of the songs, but I had neither the time nor the resources to get it organised. Perhaps on the next one. Other than that, I am very pleased how it turned out. In terms of production, it is the best yet and the songs are some of the strongest we have committed to CD. I am already looking forward to the next one, which will hopefully see the live band hitting the road! 18. What about the fact that a lot of people mean a good prog song must be an long track? Total nonsense! A good prog song is a good prog song, regardless of length. As an example, the Pavlov’s Dog album ‘At the Sound Of The Bell’ is full of short songs and every one is pure class! Conversely, some prog albums with maybe two or three tracks are totally unrewarding to listen to. I think that Jethro Tull’s ‘A Passion Play’ and ‘Thick As A Brick’ are probably two of the best examples of long songs with substance there is along with, perhaps ‘Tubular Bells’ and ‘Hergest Ridge’ by Mike Oldfield. 19. Is it more difficult to write an 15 minute epic than an three minute radio hit? Difficult to say, really. Some songs end up short and some end up long. There is no formula – songs just ‘happen’. Not much of an answer, I’m afraid – all I can say is that when I pick up the guitar or whatever, music comes out. The length of the song is determined by fate and luck!